As the global construction industry is forecasted to improve by 3.7% between 2019 and 2020, the global construction output is expected to rise to US$12.9 trillion by 2022. In the last year, investment in construction technology has grown by 30%, which equals to US$1 billion. 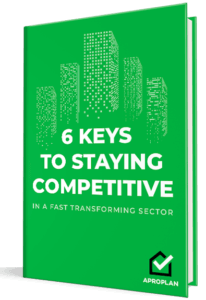 As investments in construction and its technology continue to rise, construction companies need to keep an eye on construction trends that can give them an edge as the sector becomes more competitive. Following our wrap-up of 2018’s biggest construction trends that will carry over into 2019, we continue our construction trends list for the new year in this article. In our 2018 construction trend summary, we talked about construction software and apps, building information modelling (BIM), prefab and modular construction, green and sustainable construction, and other exciting things. We mentioned drones in passing in the previous blog article but we’ll elaborate more here. In the past, to survey an entire construction site would take weeks, some even months! However, with the use of drones, survey time is cut down to just a few minutes. By saving time, companies also save money. Drone technology is still evolving and it just keeps getting better in terms of accuracy and precision. With the development of less human involvement, more companies are getting into the drone game. 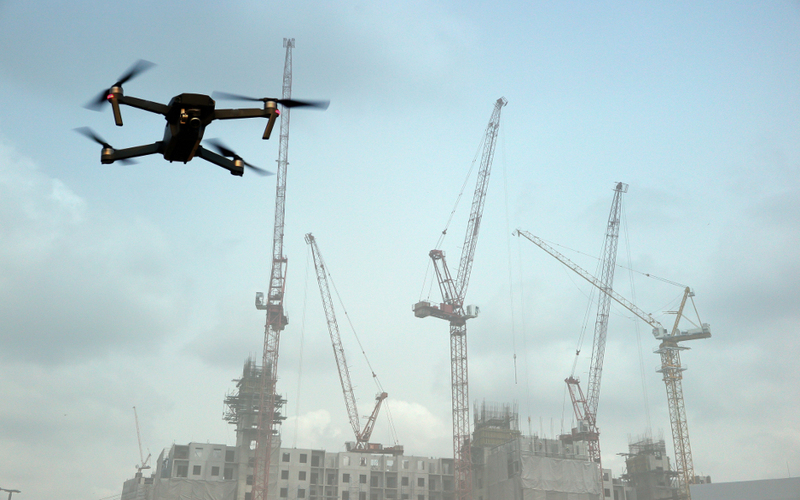 Watch out for more construction companies and contractors using drones this year! Robotics is a touchy subject for the older construction generation especially with the popular line we’ve been hearing the past couple of years, “The robots will take our construction jobs!” Let’s put this robot topic into perspective, but first let us just say that the robots won’t be stealing anyone’s construction job! Especially that there’s a labor shortage in construction and not a lot of the younger generation is clamoring for labor work. There’s this 2018 study that scared everyone by saying that robots will replace or displace 2.7 million construction jobs. Yes, a very alarming number that should be examined in context to how it was determined. Basically, this study used employment numbers based on various construction trades then applied a 6.5% growth rate per decade to project the 2057 employment numbers. Then, based on a McKinsey report, they applied automation potential estimates on the employment numbers to see how many jobs in each trade will be supposedly displaced. To simplify the two reports, basically there are jobs in construction that have high automation potential (like operating engineers with 88% automation potential) and there is unpredictable physical construction work of low automation potential (like roofers with 31%, construction laborers at 35% and sheet metal workers at 39%). Overall McKinsey’s estimation is 38% automation potential for unpredictable physical work (it would be technically difficult to replicate/automate unpredictable work patterns) and 70% automation potential for construction and extraction work (this can be performed by similar autonomous equipment technology like self-driving cars to perform grading, excavation, and the likes). The study also concluded that only 5% of all jobs across all industries have the potential for robot replacement. Currently, robots are used for repetitive tasks like bricklaying and rebar tying. And they’re very good at it especially because they can work nonstop without lunch breaks or sleep. In 2019, expect more robots to be developed and watch out for them as they join the construction site for the boring repetitive jobs while workers become more productive as they’re focused on their high skill tasks. In construction and architecture, AR means using a 3D model of design and placing it onto an existing space with the use of 3D models and mobile devices. Other than visualisation, AR can detect clashes and constructability issues and avoid rework problems by fixing them before they’re even constructed. AR also assists in building prefab components. More and more architects and contractors have been using AR and we expect to see more of them in 2019. Wearable technology is an emerging trend in construction as it’s a huge boost in worker safety. What we’ve seen in the last year were smart work boots that have sensors for temperature and gas leaks, protective eyewear with the ability to view 3D overlays on the jobsite, smart hard hats that can monitor fatigue by reading a worker’s brain waves, and so much more. We are excited what 2019 will bring in terms of wearable technology in the construction site! Self-healing concrete is an invention that married civil engineering and marine biology. Thanks to microbiologist Hendrik Jonkers, he found a way to increase concrete’s lifespan by embedding self-activating limestone-producing bacteria into concrete. This design is supposed to decrease the amount of new concrete produced and minimise repair and maintenance costs. With the push for greener materials and methods, we will probably hear more about self-healing concrete and related materials this year! In an older post, we talked about a Dutch material scientist who was working on self-healing asphalt roads. What other construction technology trends you think we should feature next? We would love to hear from our readers. On a related note, you can check out this article we wrote that talks about how applying construction technology solutions can make a safer worksite.